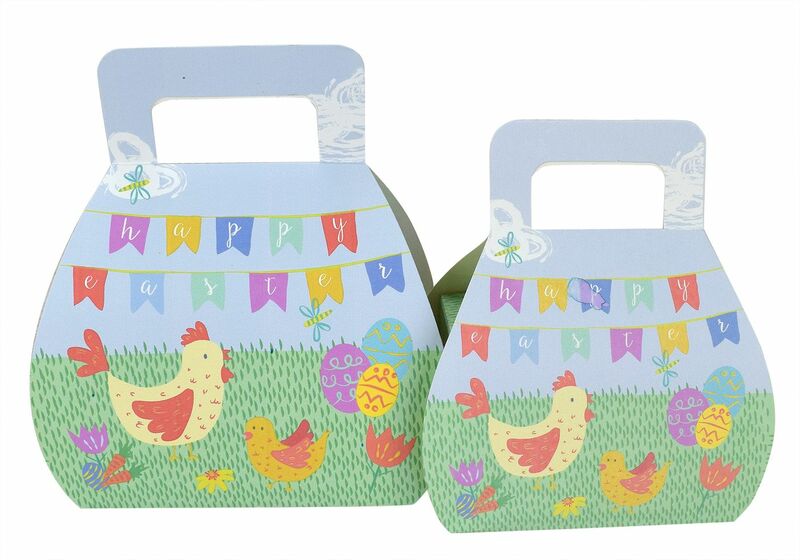 These fun and colourful little bags are great for Easter treats or for collecting Easter egg hunt treasure! Handbag shaped flatpack gift box! Screen printed onto folding card for a vibrant & luxury look.. Perfect for small gifts at Easter..